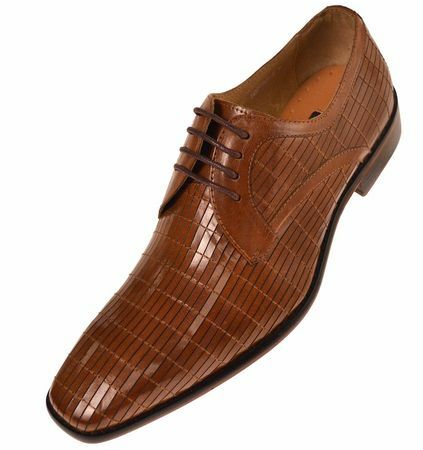 If you like Italian designed leather dress shoes made of richly burnished tan leather uppers and prefer not to spend more than you need to. These tan leather dress shoes are made by Steven Land feature all that and a bag of chips. For a bonus, they also have a full leather lining for added comfort keep your feet only looking great and stylish but feeling good too.